If you're looking for delicious food, world class whiskies, and vivacious nightlife, look no further they have it all at Pablo's in Manila. 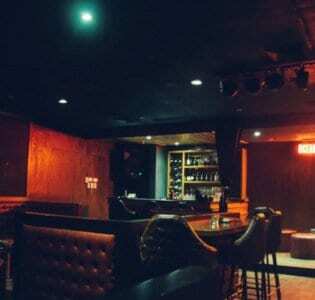 Taking its name from the infamous Colombian kingpin Pablo Escobar, Pablo’s in Manila provides an addicting combination of delicious food, world class whiskies, and vivacious nightlife. Located in the bustling Bonifacio Global City district of Manila, Pablo’s has used the namesake of the bar as inspiration for the decor, succeeding in bringing to life the type of place an underworld personality like Pablo Escobar would have hung out with this associates if he ever found himself in the Philippines. Smooth black leather seating, glass paneling, dark wood fixtures, marble bar, and even a hidden room all combine to create the perfect ambiance for enjoying a tasty pub menu and exquisite whisky selection with a dash of subdued style. The fare is upscale at Pablo’s, but still portioned out generously, making a stop here the perfect way to end a long day in the surrounding offices buildings. Like many, you may end up staying a while though, once you see the whisky on offer. Whisky is such a star at Pablo’s, that they even provide private lockers for patrons to store their bottles in, a service bound to impress the most discerning whisky aficionados. When the lights dim in the evening, nightlife takes center stage as DJs spin and parties – often sponsored by prestigious spirits brands – become the highlight of many a weekend.